1. Proverbs 20:3 – Avoiding a fight is a mark of honor; only fools insist on quarreling. • Giving up on our right for His rule means we’ve surrendered our right to fight and have taken on the mantle of a peacemaker. 2. Proverbs 20:4 – Those too lazy to plow in the right season will have no food at the harvest. • Timing isn’t everything but the right training is. Asking God what we are to do in every season of our lives will ensure a harvest at the right time. 3. Proverbs 20:7 – The godly walk with integrity; blessed are their children who follow them. • Integrity is not a possession we own but a lifestyle in Christ we practice. We should have integrity; it should have us. 4. Proverbs 20:10 – False weights and unequal measures — the LORD detests double standards of every kind. 5. Proverbs 20:12 – Ears to hear and eyes to see— both are gifts from the LORD. • Hearing and seeing are the products of listening and looking to and for what God is saying and doing. 6. Proverbs 20:15 – Wise words are more valuable than much gold and many rubies. • Anything you can pay for, no matter how much, is limited in its value. What is the price of one Word from God? 7. Proverbs 20:18 – Plans succeed through good counsel; don’t go to war without wise advice. • No one ever initiates a plan with a desire to fail, yet failure to consult God concerning your plan is planning to fail. 8. Proverbs 20:24 – The LORD directs our steps, so why try to understand everything along the way? 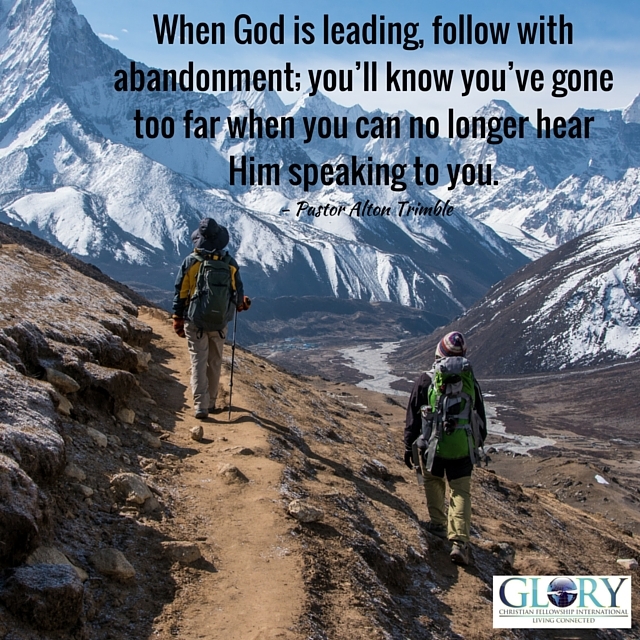 • When God is leading, follow with abandonment; you’ll know you’ve gone too far when you can no longer hear Him speaking to you. 9. Proverbs 20:27 – The LORD’s light penetrates the human spirit, exposing every hidden motive. • Don’t put your energy into hiding that you could put into healing. It’s futile to hide from your Creator. 10. Proverbs 20:29 – The glory of the young is their strength; the gray hair of experience is the splendor of the old. • Whether strength or experience, they are the Lord’s. Allow God to use your youth and maturity for His glory and purpose. Sunday Morning Worship Service, October 25th at 10:00am – Join Us! Another day of wise counsel. Thanks, Pastor Trimble. God is directing you, please continue to follow His leading. God is my traveling partner and leader. He leads me in the path of righteousness for His namesake. When He leads there is no reason for me to stray off the path. Thank the Lord for always making wise counsel available.